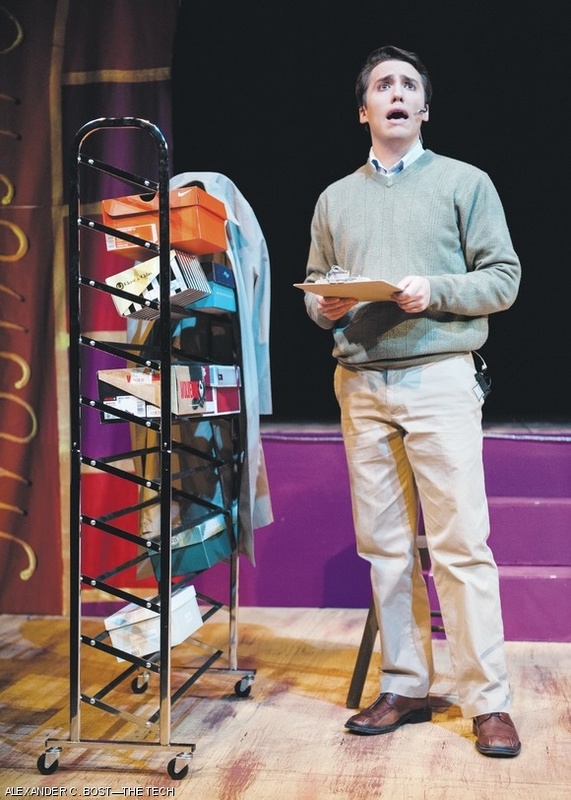 Harry Witherspoon (Michael A. Greshko G) sings about his life as a shoe salesman during a dress rehearsal of the MIT Musical Theater Guild’s production of Lucky Stiff. The musical comedy follows shoe salesman Harry Witherspoon as he takes his dead uncle’s body on a tour of Monte Carlo in accordance with his will. Shows continue this Thursday through Saturday at 8 p.m. in La Sala De Puerto Rico on the second floor of the Student Center.